A popular guide to the art of living, the Sakya Legshe--or "Treasury of Good Advice"--has been fundamental to the development of Tibetan culture and character. As in Aesop's Fables, Sakya Pandita uses proverbs and stories to address the basic question: "How are we to live peaceably with ourselves and with others?" This is the only available English translation of the Sakya Legshe--a book that reveals the heart of the Buddhist way of life. Sakya Pandita Kunga Gyaltsen (1182-1251) was a renowned scholar and Tibetan statesman who staved off a Mongolian invasion by converting Emperor Godan Khan to Buddhism. A luminary of the Sakya school of Tibetan Buddhism, his peerless erudition stands out even among a tradition known for its scholastic adepts, and many of his works have been bedrock texts for study and practice since the thirteenth century. "Ordinary Wisdom is a sterling translation of one of the most loved books of the Tibetan Buddhist tradition. Sakya Pandita's masterpiece gives advice on the conduct of life suitable for the ordinary individual. Because many of the similes and metaphors used by the 13th century author are difficult to understand, John Davenport has used modern commentaries to clarify and explain the verses. Davenport opens timeless Tibetan wisdom to Western readers." "If you want to know, not how lamas learned their Buddhism, but how Tibetan peasants learned it, this is your book." 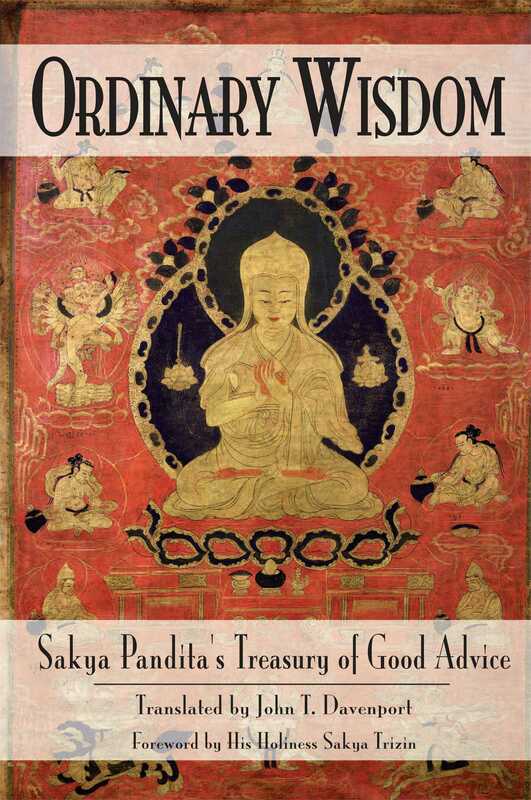 "The English translation of Sakya Pandita's The Treasury of Good Advice is indeed welcome as it presents the ancient wisdom in ordinary life. By composing the verses in a clear and coherent fashion, the great author reinforced the then ongoing trend to refine the native culture and inspire the common people. It thus became one of the most popular classics throughout Tibet and its cultural sphere. In my childhood, I memorized its verses, and they brought me solace during difficult times. John Davenport translated both the verses and the commentary with accuracy and clarity, giving us a far better rendering than the previous one." "A compendium of profound, down-to-earth, and practical Buddhist advice on the art of living, as pertinent today in the West as it has been for many centuries in the East... an extraordinary contribution to the growing library of Buddhist literature available for the Western reader."